In these times of high interest rates and house price uncertainty, it makes good sense to renovate the family home. If you are fortunate enough to own a period home then you need to get the right advise so as not to wipe thousands of dollars of its value by unsympathetic renovations. It does not cost more to renovate and keep the integraty of the building intact, infact it can in some cases cost less. Many people make the mistake of replacing old features with new reproductions rather than repair the existing old pieces because it is often considered easier to do, but this often denies the building the evidence of its history. Home owners should start with the Burra Charter principals of ' do as much as necessary but as little as possible', and if you do this you will increase the value of your home not devalue it. Painting or Rendering Brick or Stone work. 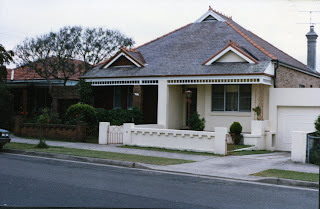 The fastest way to wipe thousands of dollars off the value of a Federation or Californian Bungalow home is to paint or render the brick or stone work. This can lead to some interesting conversations from prospective buyers trying to ask politely "WHY". Result is a $750000 Federation home - minus $50-$100000. Changing the Character of a House. When planning structural changes the scope for disaster is limitless, unless you can find a buyer who shares your passion for "Corinthian Columns" holding up a bull nose veranda. 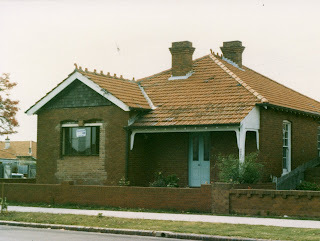 Well-known gambits in renovating for a loss include replacing timber windows with aluminium ones, changing the shape of window openings, re skinning the outside brickwork with new out of character bricks, removing internal items such as fireplaces, decorative plaster ceilings, decorative timber work such as picture rails and skirting boards all of which in many cases was produced using rare Australian red cedar. Finally, the traditional front veranda demolished to make way for an aluminium car port. Fake Brick or Aluminium Cladding. 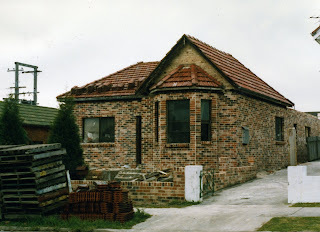 One method of instant depreciation is to re skin an old weatherboard house with either fake bricks or aluminium cladding. 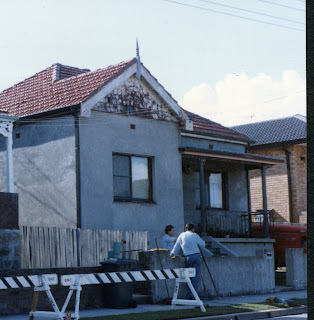 You can bet that the house will be worth $30000 less than if they had replaced the weatherboards and had the timber work repainted. Creating a Desert. Removing all the trees and grass to plant concrete is a good way to reduce your gardening time. However, the effect is only likely to appeal to a purchaser longing for the days in the old prison yard. Wrong Colours and Style. Real estate agents will tell you that a quick coat of paint will add value to your home and that may be true. But, the reverse is also true if you use any old paint found lying around in the garage or you know someone who can get cheap paint only thing is it is only available in "Navy Grey". As a good rule if you can only tell a red traffic light because it's the one on top of the pole then you need to seek advise on colour schemes for period houses before you start painting. Stupid Alterations. Expressing your own personal preferences when they are both stupid and unpopular is a sure way to lose money. Trying to change a Federation house into a Mediterranean Mansion just doesn't work. Or trying to turn a little Victorian workers cottage into a two storie mansion is also a recipe for disaster. Also one must way up the cost of repairing past mistakes as this can be a very expensive exercise that may take many years to recoup. Poor Quality Work. No matter what you see on TV, doing it yourself without the proper skills and qualifications can also lead to potential buyers walking away or offering less than what you want due to shoddy handywork. Going Up. Going up is one alternative when considering additional living space, and fortunately today there are many good architects and builders hat specialise in just this type of work. Select them very carefully and always inspect previous work. When driving around if you see a house that has had this type of work done, go and knock on the door most peopel are only to willing to recommend the builder or tell you the horror stories that they went through doing the work. Dual Occupancy. Again another potential area for disaster, get a good architect to design the dual occupancy so that it compliments the existing period home. That is not to say it need to be a mirror image of the old home but it should complement it. We have seen countless examples where they have built a new house at the back that not only wipes thousands of dollars of the value of the original home but when they try to sell the new home prospective buyer take one look and do the hundred meter dash to get away. Ruining a Floor Plan. It is important that you renovate to suit your own style of living and in todays modern society "Open Plan" seems to be the 'Buzz Word" but remember legend has it that when Hampton Court outside London was built it was so poorly designed that the food was always cold by the time it took to get from the kitchen to the dinning room. Remember planning is everything and bad planning can wipe off thousands of dollars. So we hope this gives you plenty to think about especially if you are about to renovate, so remember if you have an old home get as much advise as you can. There are many organisation's out there that are only too willing to help and you may actually make money on your most prized possession "Your Home". Terrific suggestions but how and where do you find a good architect? You have a very good experiance for house renovation. Your wonderful suggestions you made I really agreed with that. Now I am going to renovate my old style bathroom. Is there any suggestion or tips you can give? When renovating a period bathroom look at for example The Period Home Renovator magazine which shows many examples of renovated bathrooms. A lot will depend on what style of house you have as a Victorian bathroom will look stupid in a Californian Bungalow. My one piece of advise from one who has renovated several period homes is that having a shower over a claw foot bath just does not work. Good luck with your reno.